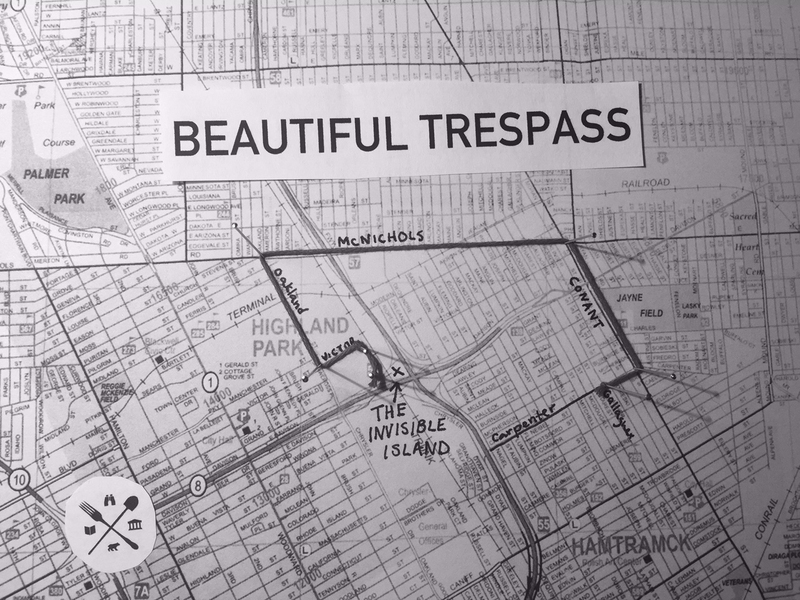 In October 2015, Detroit’s P​icnic Club ​hosted a picnic and auditory meditation titled Beautiful Trespass. 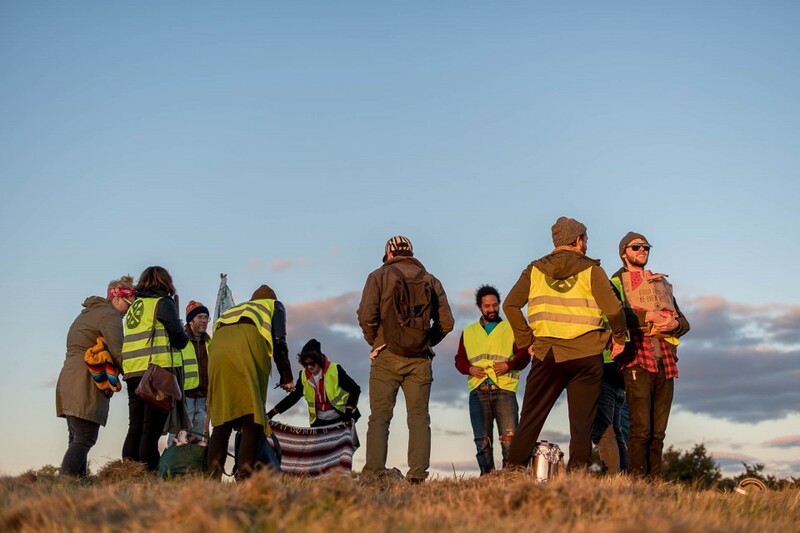 ​The ad­-hoc group convened at a parking lot at the intersection of Carpenter and Gallagher. Just before sunset they caravanned to the end of a defunct and overgrown service drive. 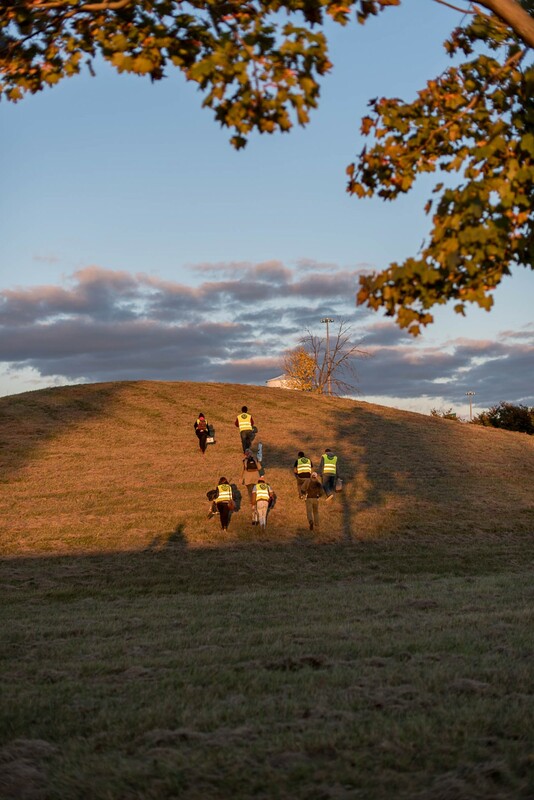 When the pavement stopped they took off on foot down a gravel path, over a set of train tracks, through the deep, coarse grass, and onto the top of a monumental mound. This traffic island—situated within the archipelago of unused lawn at the intersection of the I­75 and M8 freeways—was their destination. Surrounded by highways on three sides and a train track on the fourth, the mound was nicknamed The Invisible Island, for the fact that it is constantly passed­ by but seemingly unexplored. 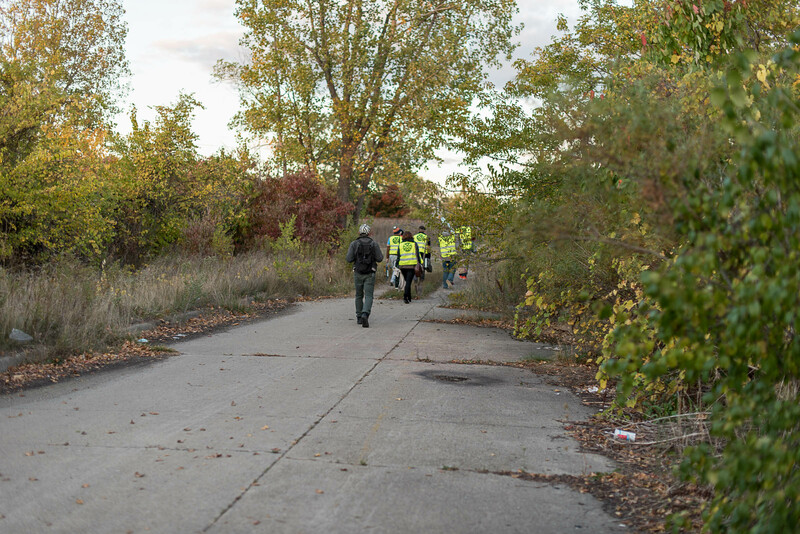 The experience of Detroit’s landscape has a great deal to do with personal perspective. The idea of walking into a place that would normally only be seen (or unseen) while driving past seemed like a promising method to gain new perspectives and new connections to space. 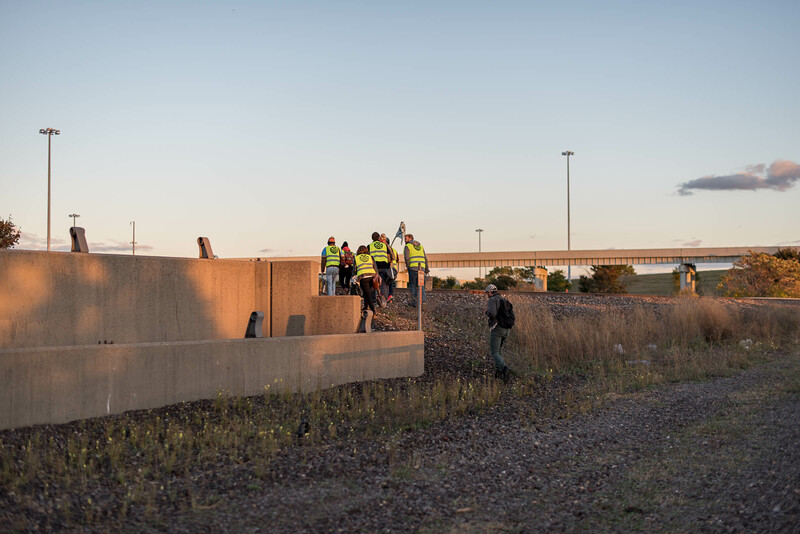 To activate our experience and perceptions of The Invisible Island, members formed impromptu groups of twos, threes, and fours—we call these groups the Traffic Chorus—to explore the island’s sonic landscape with audio devices designed for group listening and recording. With a prompt to harmonize with ambient traffic sounds through collaborative vocal improvisation, the Traffic Chorus joined with the rushing cars, clanking trains, and rumbling trucks, weaving their attention, bodies, and voices into the fabric of a place seemingly intended to be ignored, bypassed, and drown out.